A look at the work of Eugène Boudin, important precursor to the Impressionists, especially Monet, whom he encouraged to paint en plein air. 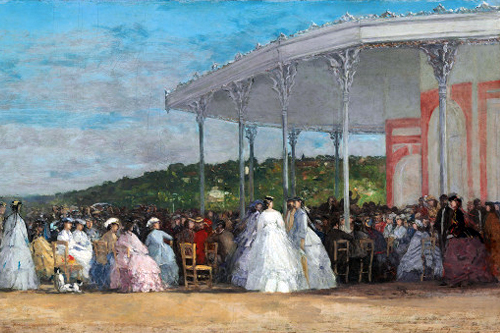 Widely known as a marine painter, Boudin also depicted the visitors to the beach resorts of Deauville and Trouville and explored subjects such as landscapes and cattle. We shall also take a closer look at some of the important works to be seen at the exhibition devoted to Boudin, newly opened at the Musée Jacquemart-André in Paris.